Search results for "Miami Beach"
A fledgling plan to bring high-speed rail (HSR) service to the Pacific Northwest region of the United States and parts of southwestern Canada is moving closer to becoming a reality. 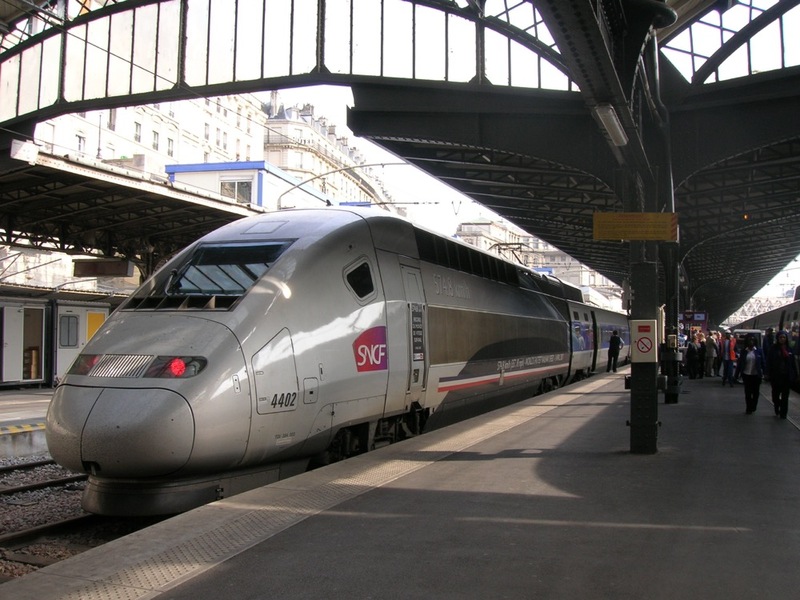 The Urbanist reported that this week, the Washington State Legislature introduced legislation that would create a new interstate high-speed rail authority for the region that could begin to take the first steps toward making the Cascadia Rail plan a reality. According to The Urbanist, the new rail authority would be in charge of coordinating high-speed rail efforts across Washington, Oregon, and Canadian jurisdictions while also setting requirements for contracting operations and other issues. The authority would also be responsible for ensuring that the trains and routes selected for the project could deliver service at 250 miles per hour, a key stipulation for making the project economically viable across the region. The authority would also provide a singular contact point for communities along the proposed routes and would handle the preparation of environmental impact reports at the federal and local levels. A preliminary plan for the Cascadia Rail service was unveiled in 2018 that proposed a coastal line connecting Portland, Oregon, with Vancouver, Canada. The plan includes an eastern spur connecting Spokane, Washington, with Seattle. The plan has support from the Washington State business community as well as a growing set of local officials who see the prospect of reliable, high-speed rail service as a key way of reducing automobile traffic along Interstate-5 while also helping to address growing transportation emissions across the region. Several high-speed rail plans are making progress around the country, including in California, where the nation’s first true high-speed rail network is currently under construction. After years of planning and partisan bickering, the controversial plan is finally in full-swing and a line running through central California between Bakersfield and Madera is expected to open by 2022. Along the Florida coast, the privately owned Brightline route made its debut this year connecting West Palm Beach and Fort Lauderdale. Though the train is not truly a high-speed rail corridor—it runs at top speeds of roughly 80 miles per hour—the train has cut travel times between the two cities by over an hour. The line is expected to expand to serve Miami and Orlando by 2020. All Aboard Florida, the company that owns and operates Brightline, is also moving toward a second train venture connecting Las Vegas, Nevada, with the greater Los Angeles metropolitan area. The company recently purchased XpressWest, a struggling venture that was aiming to deliver service between the two cities following the Interstate-15 corridor, Urbanize.LA reported. Like the Florida line, however, trains will not exactly run at high speeds; projected service is expected to begin in 2022 and will run at around 92 miles per hour. This might sound like a good bit of progress—and it is—but recent rail development in the United States pales in comparison to the many ambitious rail projects under construction around the world. China, for example, plans to build over 2,000 miles of true high-speed rail lines in 2019 alone. That’s enough track to connect Philadelphia to Phoenix. 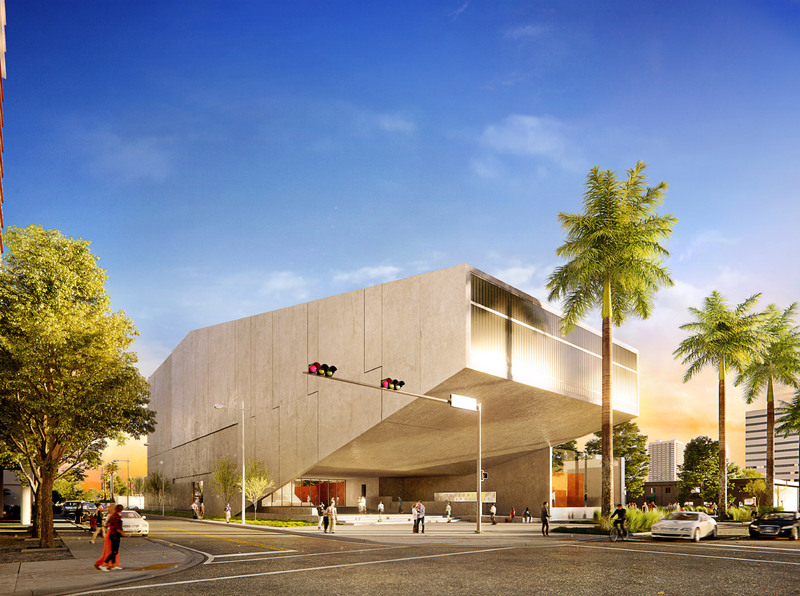 Just in time for this year’s Art Basel Miami Beach (December 6 through 9) and Design Miami (December 5 through 9), the Miami-based firm Rene Gonzalez Architect (RGA) has released the first look at a new public art space for the nonprofit Berkowitz Contemporary Foundation (BCF). RGA was approached to design the space in 2017, and the BCF is looking to break ground on Miami’s Biscayne Boulevard between 26th Street and 26th Terrace in 2020. 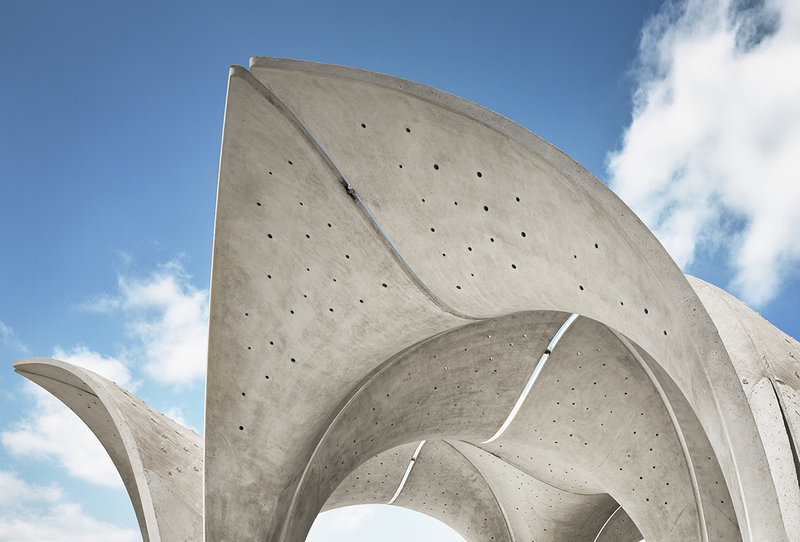 The dramatically cantilevering concrete arts space has been designed from the ground up with input from the artists whose work will be featured within, allowing RGA to carve out spaces that will specifically highlight those pieces. Once complete in 2023, the new building will create a permanent home for BCF’s collection. RGA has pulled most of the gallery’s mass off of the street level and onto the second story, where the building terminates with a double-height window. The three-story, 45-000-square-foot art space will hold 30,000 square feet of exhibition spaces. Rotating galleries for traveling installations and work from the permanent collection will be located on the second and third floors. 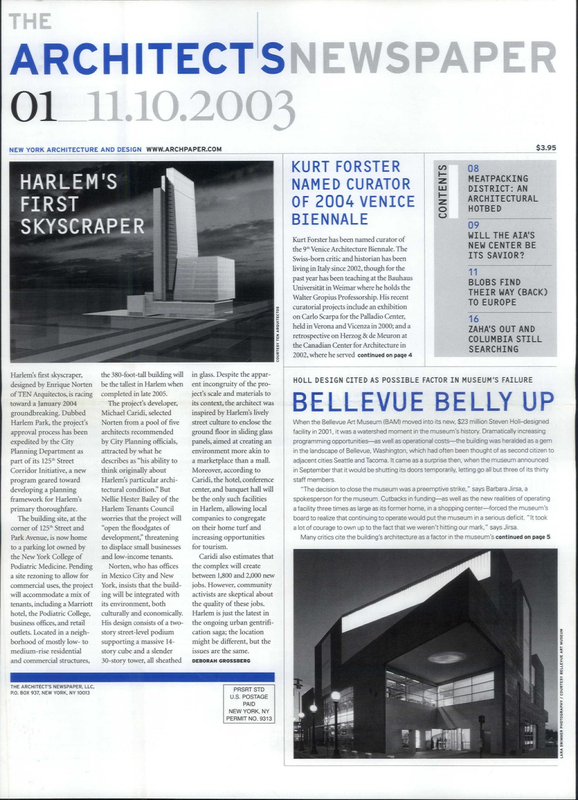 Much of the building’s shape was driven in response to the needs of two massive works in particular. Richard Serra’s Passage of Time, a sinuous, 218-foot-long corten steel sculpture will be given a dedicated courtyard area between the building proper and the garden. The viewing area will be closed off by a street-facing glass wall, allowing pedestrians to look inside. The other work is James Turrell’s towering Aten Reign. The 80-foot-tall light installation, first unveiled at the Guggenheim in 2013, will be located at the end of its own transitional hallway to give visitors time to adjust to the lighting conditions. Aten Reign will be positioned within the building’s tallest section; a skylight will allow natural light to filter in through the top of the cone through five tiers of rings, each embedded with hidden LEDs. The end result is a free-floating “light tunnel” that creates an enclosure using only light. “I am honored to be working with the founder and board of BCF to design and realize its vision for a new landmark building in Miami,” wrote RGA founder Rene Gonzalez. 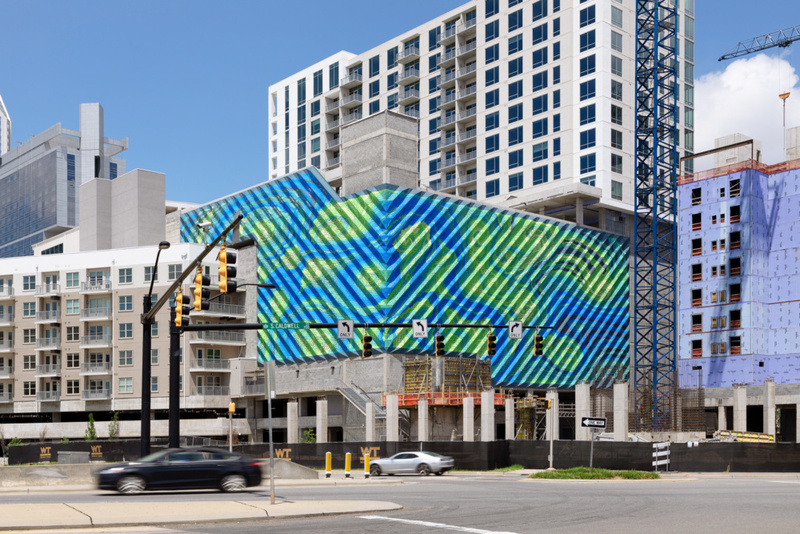 “We have worked closely with the Foundation, as well as several of the artists in their collection, to design an immersive and contemplative building that will enhance the city’s cultural landscape.” The building will be free to enter and open to the public when the project is complete, furthering BCF’s goal of highlighting international contemporary art. Known most for her landmark piece, The Dinner Party (1979), revolutionary feminist artist Judy Chicago uses art, painting, and sculpture to showcase the role of women throughout history and culture. 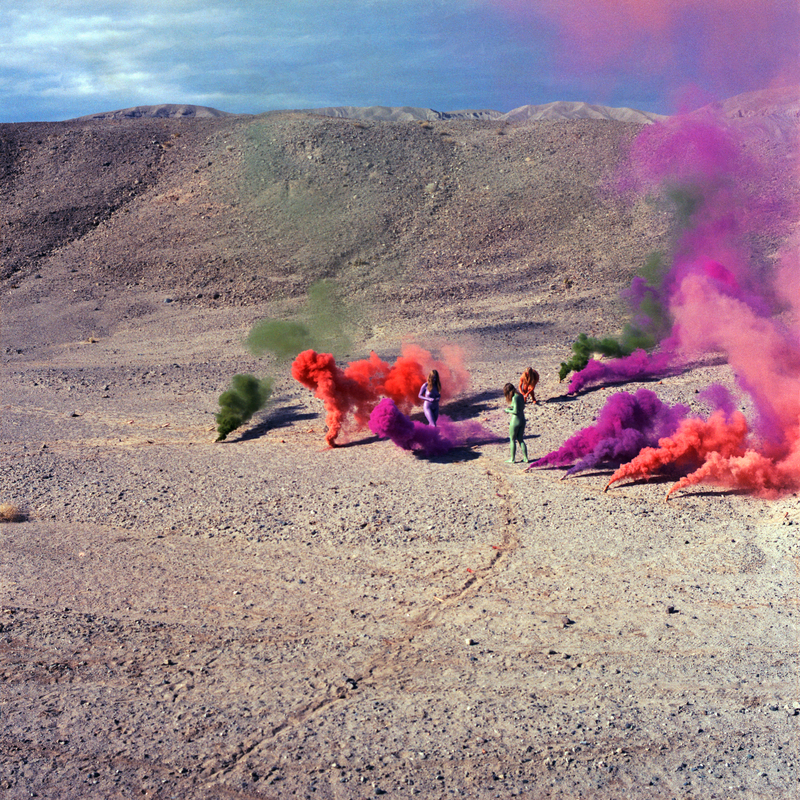 Opening on December 4 in conjunction with Art Basel Miami Beach, Judy Chicago: A Reckoning, is an exhibition that will feature six major works of art produced by Chicago between the 1960s and 1990s. The exhibit, which will take place at Miami’s Institute of Contemporary Arts (ICA), will also unveil A Purple Poem for Miami, Chicago’s new, site-specific smoke piece that will ignite the museum’s sculpture garden with colorful smoke bombs, dry ice, and other pyrotechnics. 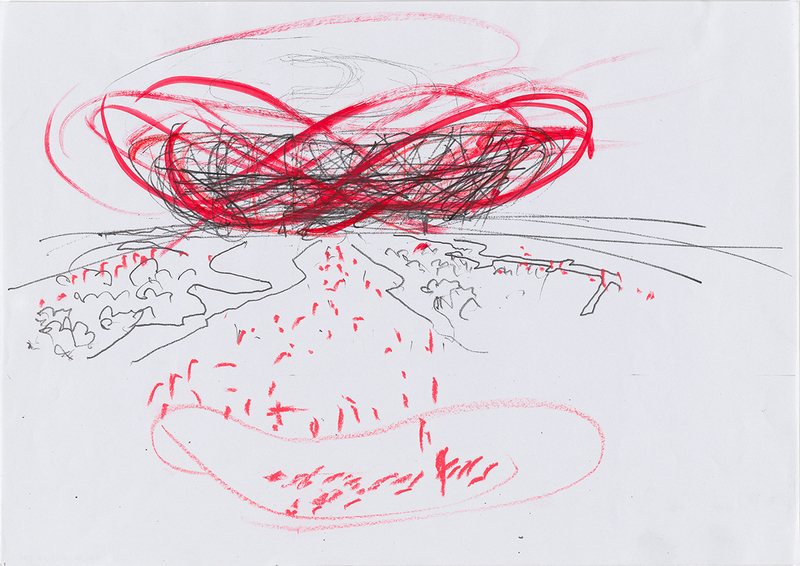 A Purple Poem draws from Chicago’s radical performance works from the sixties called Atmospheres, a series of pyrotechnic art installations that took place in Pasadena, California. The Atmospheres pieces, which Chicago displayed in the '60s and '70s and then recently again in 2012, were intended to be daring acts of feminism. At the time of their conception, Chicago often joked that she would set the Pasadena Art Museum on fire in protest of its male-dominated curatorial preferences. While the art museum was never set ablaze, Chicago inflamed the deserts, fields, and forests of Pasadena with fireworks, smoke bombs, and other colorful explosives she had learned to use. Each eccentric and vivacious display of pyrotechnics created a mesmerizing visual effect, conjuring feelings of wonder, fear, and inspiration among its viewers. “The narrative of landscape and land art had been dominated by men,” said Chicago in an interview with New York Magazine. “Atmospheres came from the desire to insert a feminine perspective into the conversation and to soften and feminize the environment.” Her words are especially significant in light of the fact that she was sexually harassed by the head of the fireworks company where she once apprenticed at, causing her to take a two-decade hiatus from her project. However, in 2012, with funding and support from the Getty Performance Festival, Chicago was able to revisit her role as a pioneering female pyrotechnician. Atmospheres, along with the upcoming exhibition at ICA Miami, represent the ways in which Chicago’s powerful feminist voice not only transforms the landscape and environment but also interpretations of modernism and its values. Photographs documenting Atmospheres are currently on display at Nina Johnson Gallery in Miami. A Purple Poem for Miami, her sixth major art installation, will take place at ICA Miami in February 2019. Charles Bukowski house landmarked in L.A.
Wolf Prix completes School for the Performing Arts in L.A.
Will Jacksonville be a post-climate-change megacity? 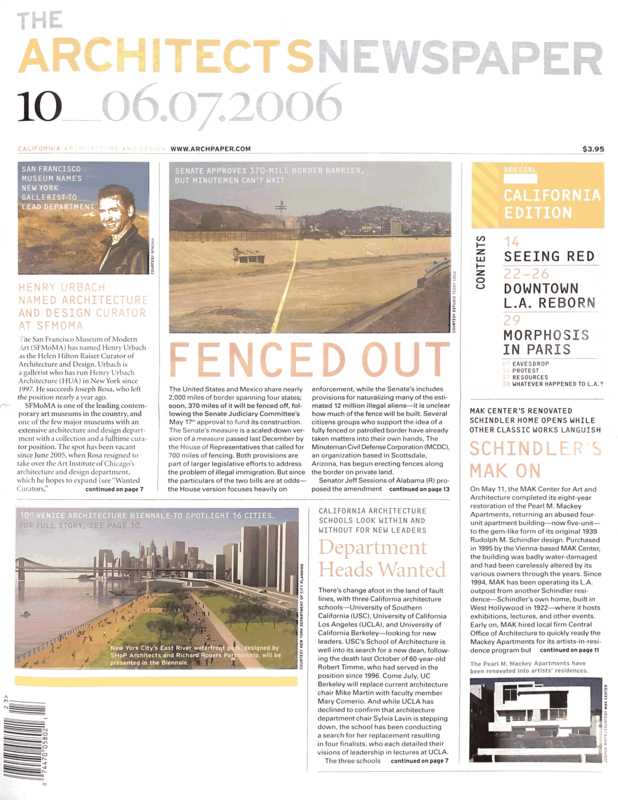 Thank you to USModernist Library, an online archive of architectural publications, for their help in putting this web feature together. The Illinois Institute of Technology (IIT) College of Architecture has awarded the Mies Crown Hall Americas Prize (MCHAP) to Edificio E, a new academic building at Peru's University of Piura that features an economical but visually striking design by Lima-based Barclay & Crousse Architecture. The biannual prize is awarded to a recently built work in the Americas that demonstrates the highest standard of design in response to today’s changing environment. Sandra Barclay and Jean Pierre Crousse, principals at the award-winning firm, will be given $50,000 toward research and the development of a publication in conjunction with their work. The pair will also take the MCHAP Chair of Architecture at ITT. Edificio E at the Universidad de Piura is situated 600 miles northwest of Lima in a harsh, dry forest. The building features a series of individual lecture halls and administrative offices set up in a square and linked via interstitial, semi-exterior pathways and gathering spaces. Dubbed a “learning landscape” for the largely disadvantaged rural students that attend the university, the design was created to encourage social connection and the exchange of ideas. “The ambiguous, shaded exterior spaces sheltered by the buildings that form the whole were created to provide a place for informal learning and for life in the broadest sense,” said Barclay and Crousse in a press release. “It’s been immensely rewarding to see how students and professors occupy the structure, and to see how it’s created a new centrality on campus, where people stay independently of having classes.” The design team hopes the project will serve as an example for modest yet modern and expressive educational buildings for the future. 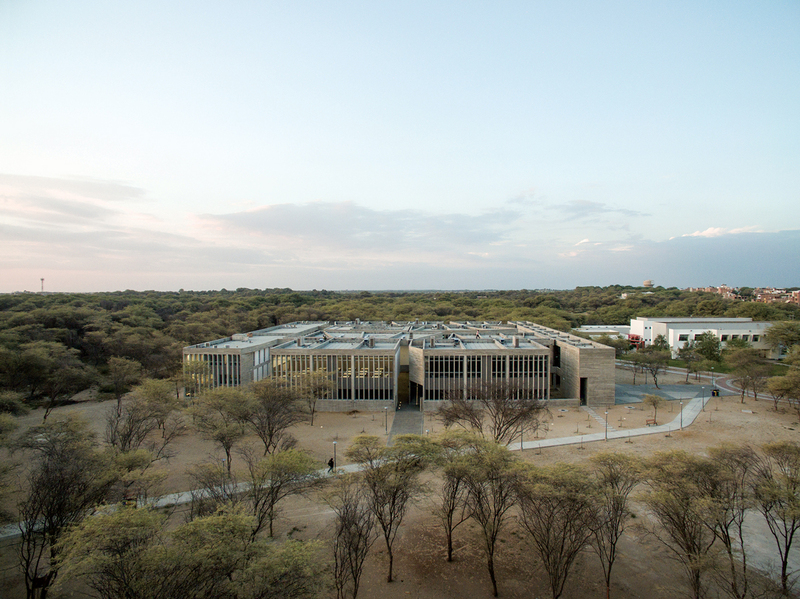 Edificio E was informed by the other compact, concrete structures on the 321-acre campus, and it uses a simple layout and basic construction materials. Barclay & Crousse also designed it to withstand the potential earthquakes that are common in the northwestern region of Peru. 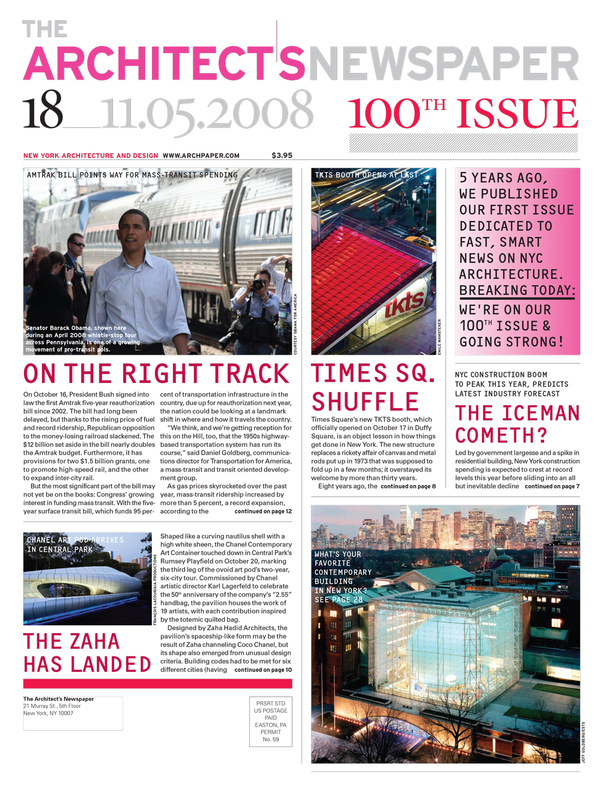 Edificio E was selected from 175 submissions across North and South America. Six finalists were announced in July after the jury, led by Ricky Burdett of the London School of Economic and Claire Weisz of WXY, took a 10-day trip of site visits examining the top projects. Among the final six were the Smithsonian National Museum of African American History and Culture by Adjaye Associates in Washington, D.C., as well as Truth North, by Edwin Chan in Detroit. 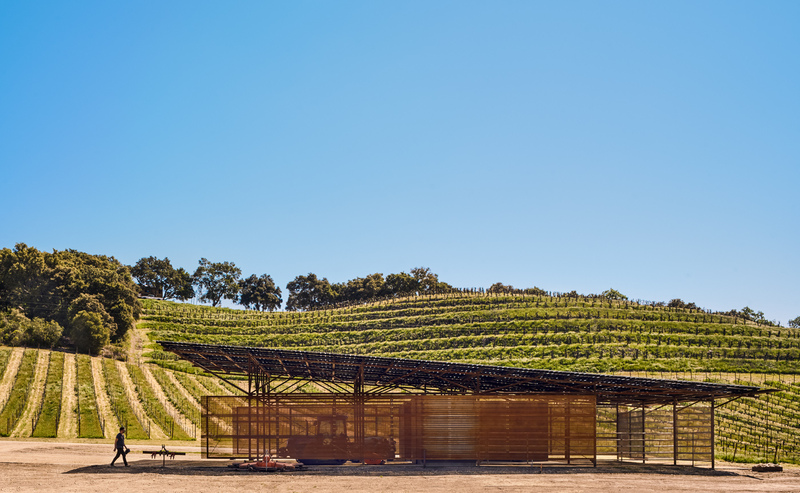 Past winners of the MCHAP Americas Prize include 1111 Lincoln Road in Miami by Herzog & de Meuron, as well as Grace Farms in New Canaan, Connecticut, by SANAA. 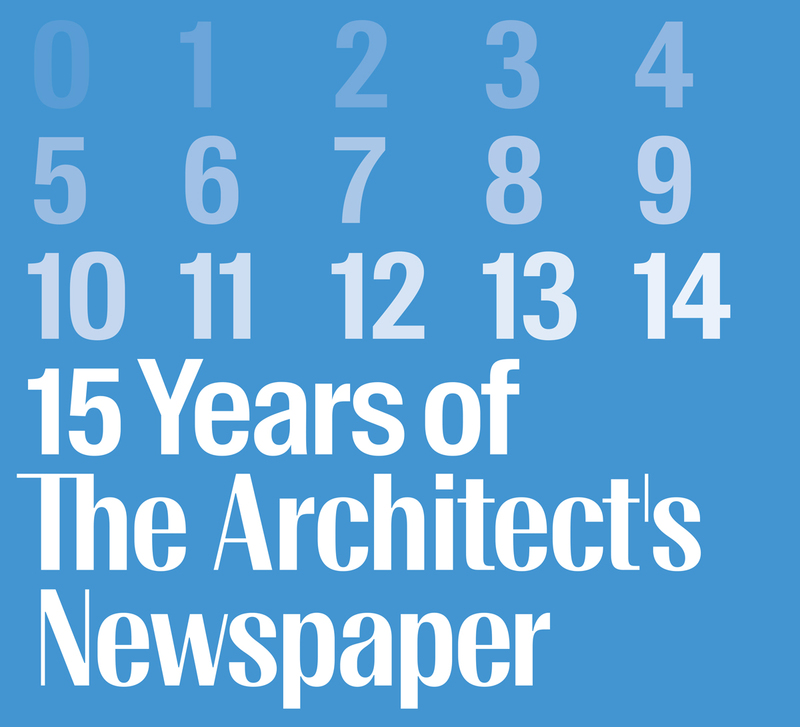 On October 4, The Architect’s Newspaper will be hosting Facades+ Miami for the third time. The morning event features talks and workshops by national and global leaders of the AEC industry covering a range of subjects relating to building envelopes within tropical environments and the architectural vernacular of the Miami metropolitan area. Allan Shulman, founder of Shulman + Associates, is co-chair of the event. Over the last century, Miami’s population has grown from approximately 60,000 to just 6 million. This explosive growth of the southernmost major in the U.S. has fostered an architectural identity distinct to the region, one that often adapts modernist trends to suit local environmental performance. Founded in 1977, Arquitectonica has designed dozens of developments in downtown Miami, and they are bringing their expertise to this year's conference. In recent years, the firm has completed the Brickell City Centre, the American Airlines Arena, and Regalia. The Regalia is a nearly 500-foot-tall tower on the northeastern edge of the Miami metropolitan area described by founding partner Bernardo Fort-Brescia as a rectangular glass prism “wrapped by a sensuously undulating terrace” that simultaneously serves as a tool for interior shading. Ateliers Jean Nouvel, a firm that works globally with an emphasis on facades, is also presenting. The practice is currently constructing a significant project in Miami’s South Beach. The residential complex will contain approximately 200,000 square feet, and will stand atop an 11-foot podium to avoid the increasing threat of storm surges in Miami. Significant segments of the facade will be clad in perforated screens, filtering natural sunlight while maintaining a degree of privacy for residents of the glass-faced residential tower. While the lion’s share of high-rise construction is centered in Miami’s downtown and in a ribbon of development adjacent to the coastline, other local and international practices are advancing with sensitive residential and commercial projects throughout the region, such as Brillhart Architecture’s timber Surfer’s Outpost; Gelpi Projects’ proposed Coconut Grove Playhouse; Germane Barnes's public art installations, such as RAW POP UP / LAB at Brickell City Centre; and micucci arquitectos asociados' institutional projects across Latin America. Outside of architectural practices, representatives from manufacturers and engineering practices such as the Al-Farooq, Crawford-Tracey, Terranova, STI Firestop, Gate Precast, and Valspar will also be on hand to lead workshops and panels. Further information for Facades+ Miami can be found here. 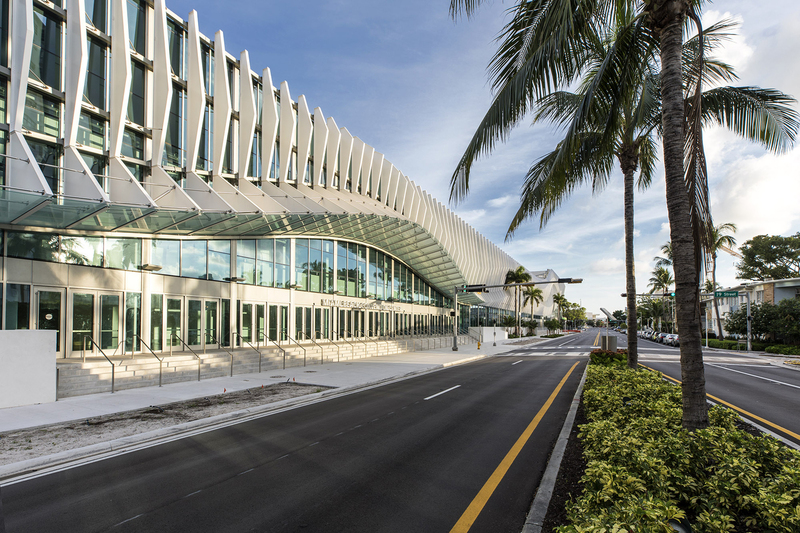 The Miami Beach Convention Center is getting redesigned into a new 1.4-million-square-foot complex that will include an exhibition hall, four new ballrooms, and a range of meeting spaces when complete. 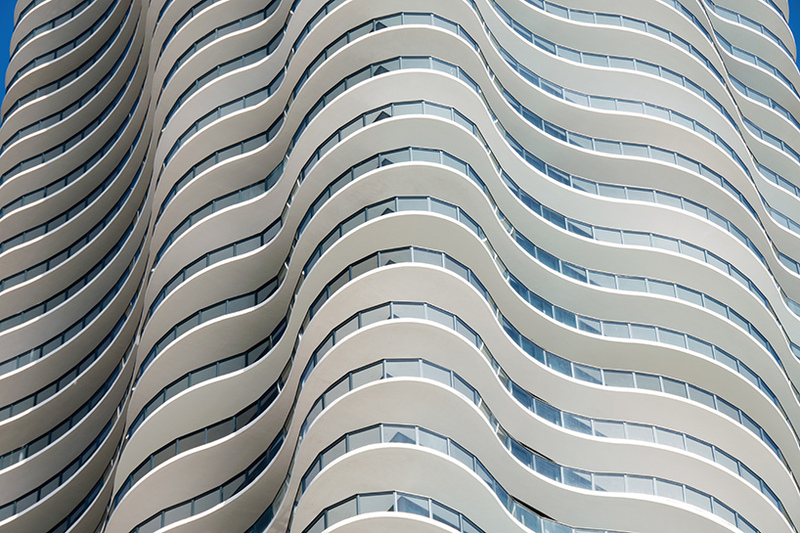 Fentress Architects collaborated with Arquitectonica on an undulating exterior envelope inspired by the curves of waves, manta rays, and coral reefs. The facade consists of more than 500 angled “fins” constructed out of aluminum plates. Each fin is braced back structure-side and stainless steel struts tie them together to combat lateral loads from hurricanes as well as to account for acoustical vibrations. Behind the rolling facade, the building is clad in a high performance unitized curtain wall with a .23 solar heat gain coefficient. A structural steel backup with an aluminum enclosure supports the cantilevered fins every 15 feet along the curtain wall. Fentress and Arquitectonica worked closely with the fabricator to guarantee the undulating facade they had designed would be constructible. Using a combination of spline-based modeling, BIM, and careful construction drawings, the team made the fabrication and installation process seamless, architect to manufacturer. The fins act as a brise soleil and shade the glazing and interior spaces behind them at both the east and west entryways. At one particular moment on the east facade, they cantilever out an impressive 38 feet to create an exterior cover at the entry. The underside of each gap between the fins is glazed with a five-foot by ten-foot sheet of glass that slopes back towards a gutter for drainage. Each piece of glass was cold bent into place on site due to the double-curved surface it needed to achieve. While the project team embraced the shade that the fins provide as an added benefit, they did not design the facade for energy efficiency. After the team ran models to analyze the building’s performance, it became clear that the design was conceived more intuitively rather than for the sake of optimization. This allowed the decisions on fin spacing and geometry to be primarily aesthetics-driven while still providing natural shading.